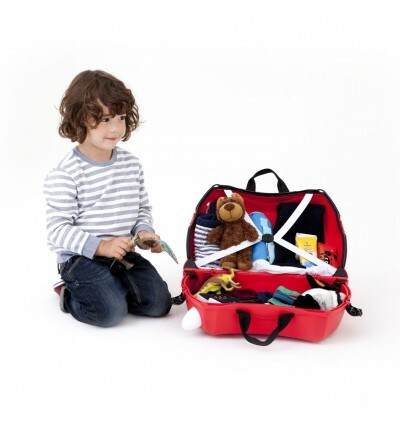 Teddybear seatbelts - Keep Ted safe with his very own seatbelt! 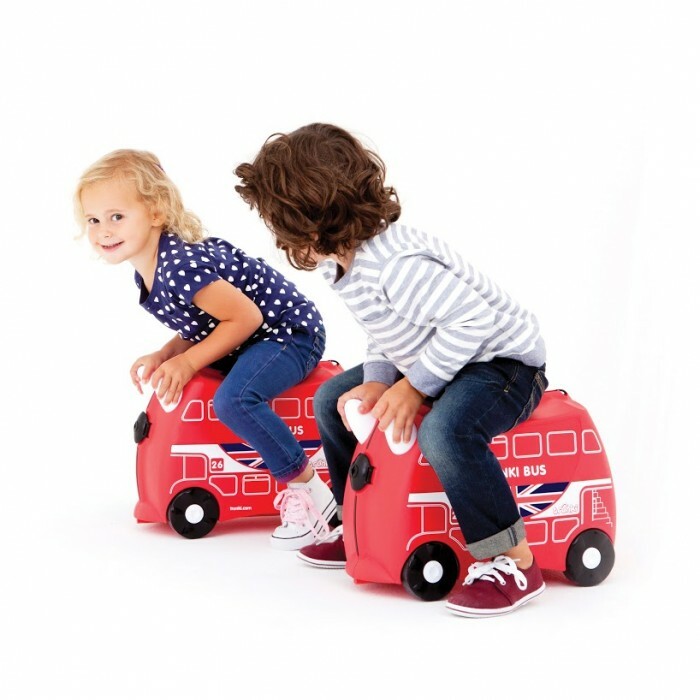 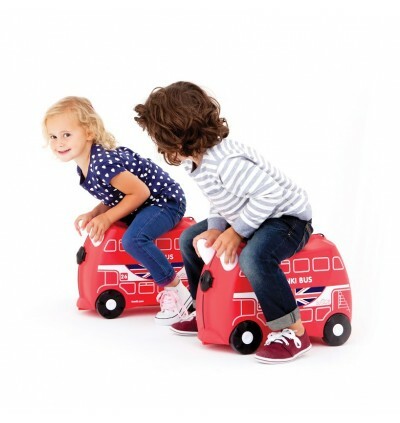 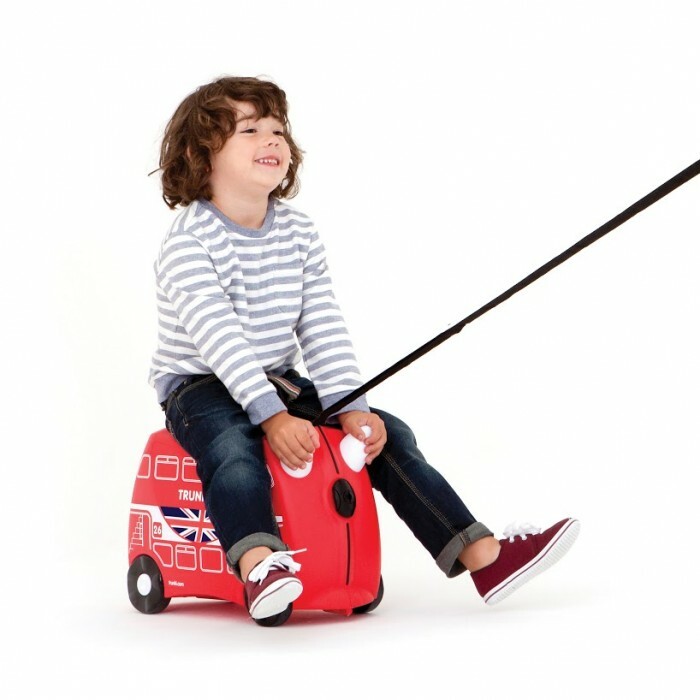 The award-winning British design takes the stress out of traveling with kids and encourages responsibility and imaginative play at home. 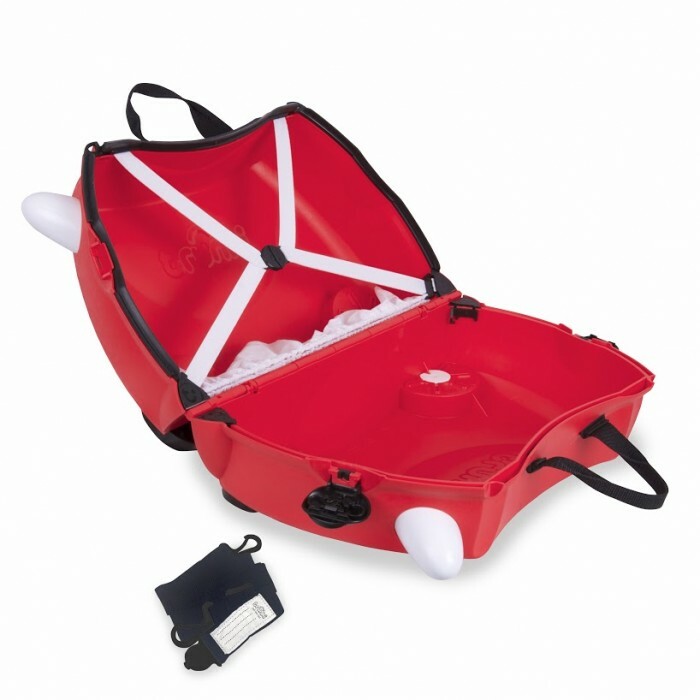 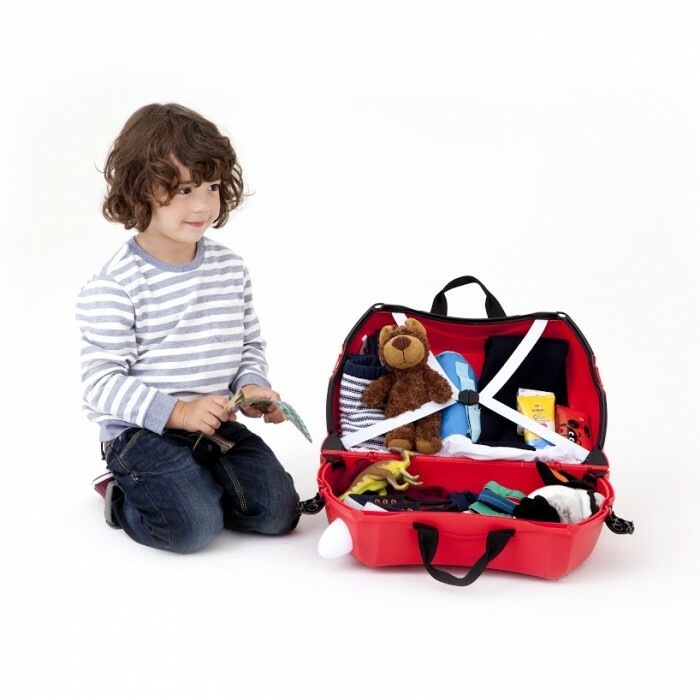 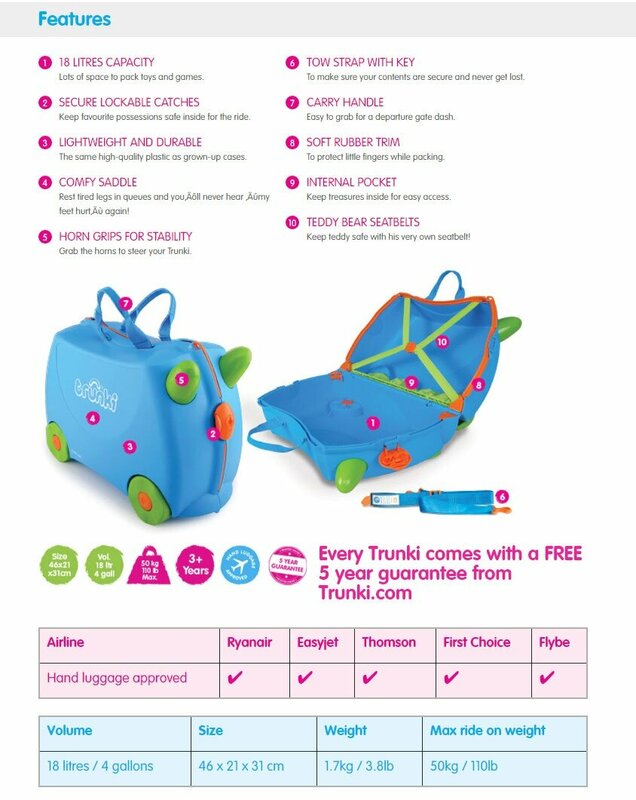 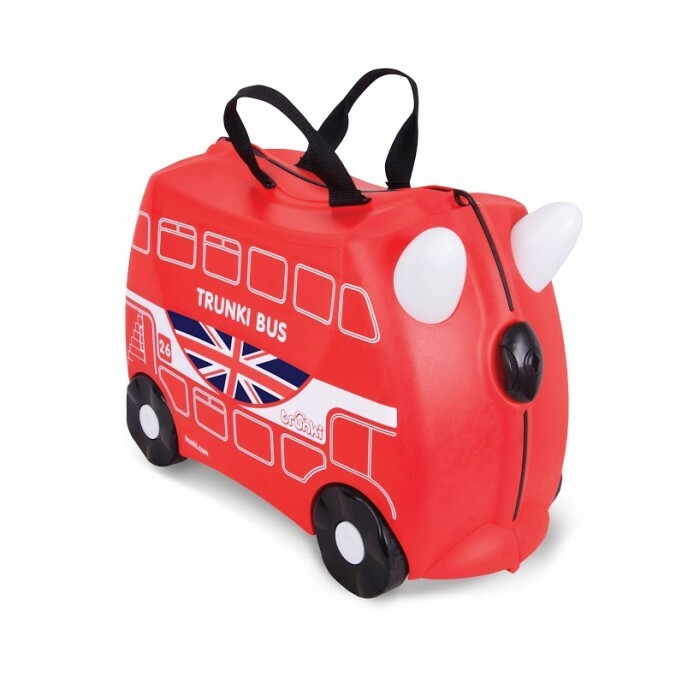 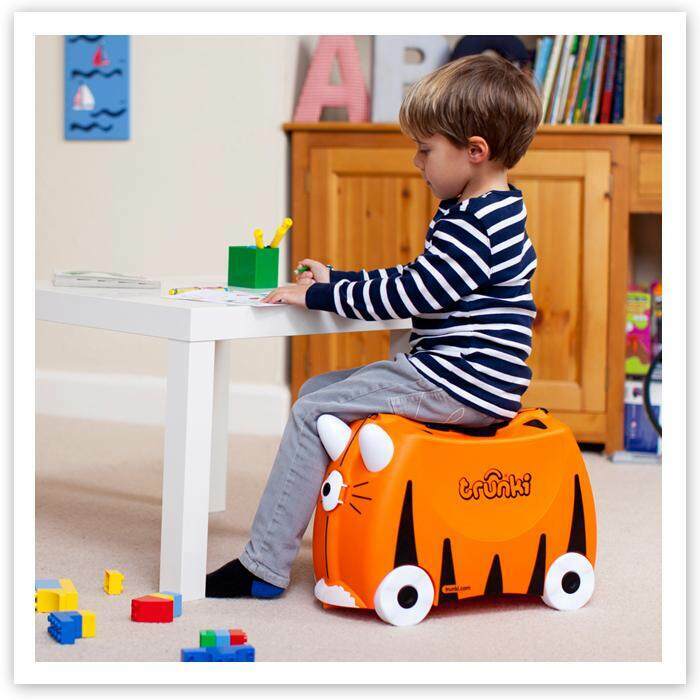 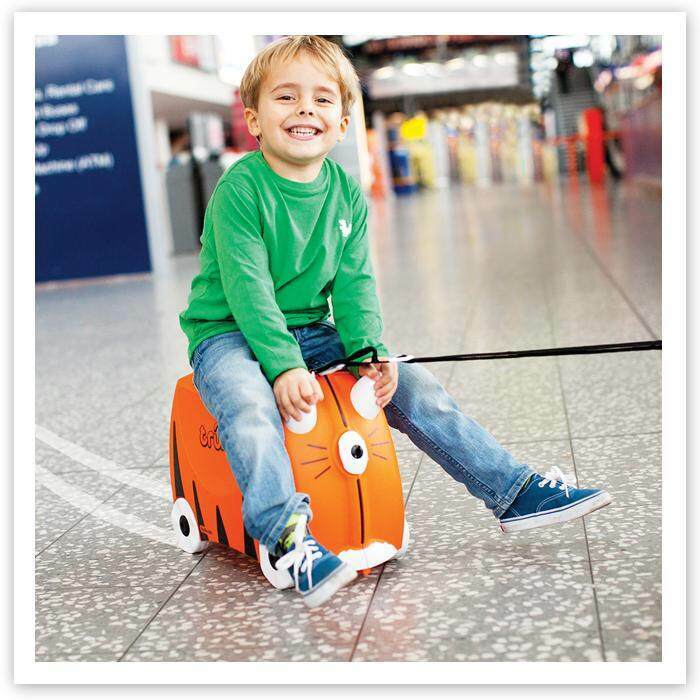 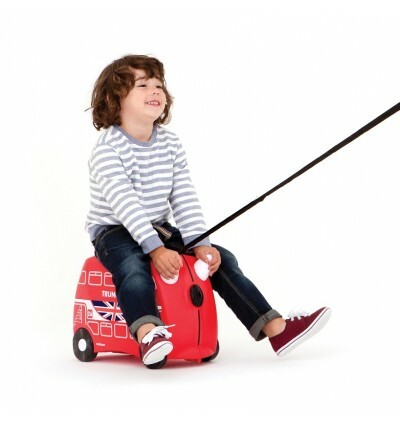 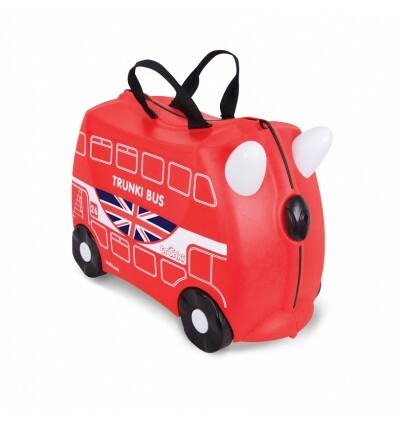 Trunki fits within standard 20 x 18 x 10 inches dimension requirements of scheduled, charter and low cost airlines, however please check with your airline before travelling. 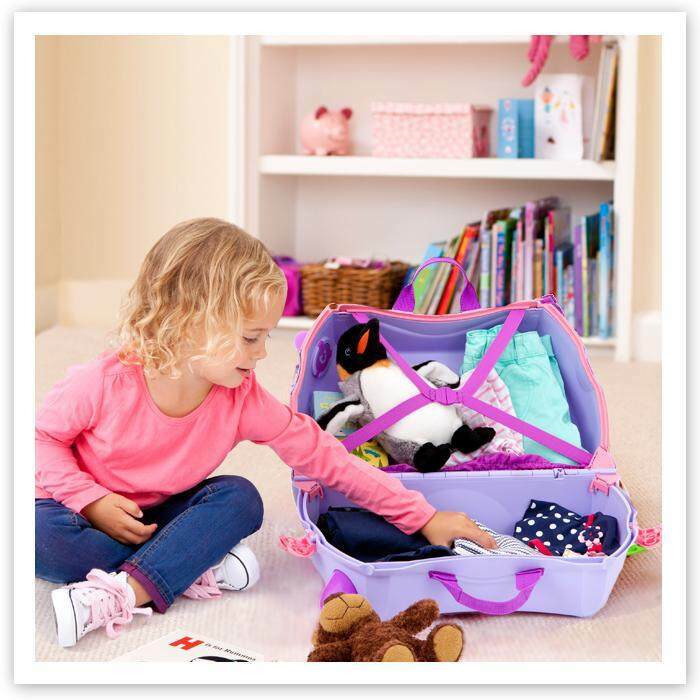 With it’s spacious 14.75 gallon capacity, Trunki has plenty of room to pack it full of your child’s toys, games, books and spare clothes needed on vacation. 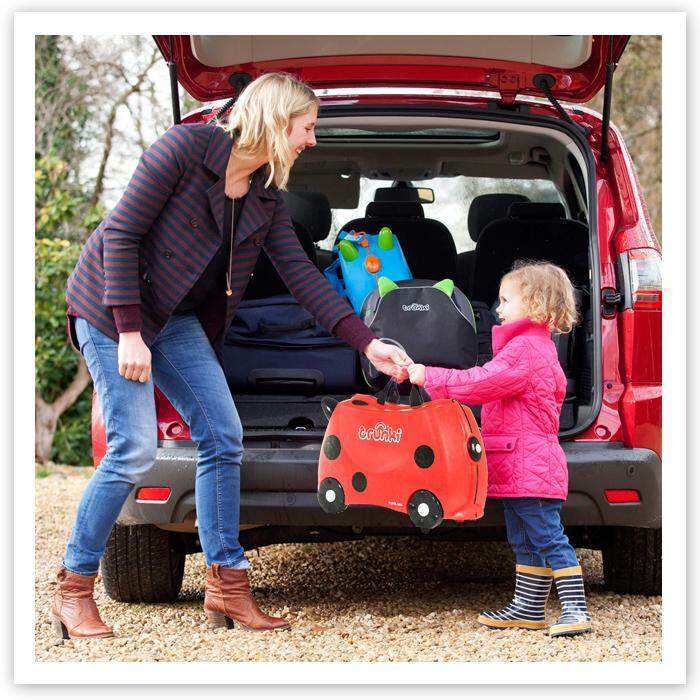 Trunki was designed for air travel but it’s also perfect for road trips, weekends away, and sleepovers at granny and grandpa’s.